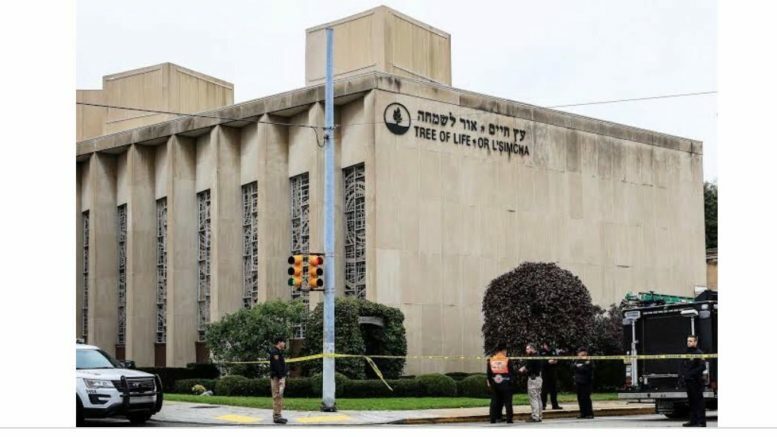 Like many people in New Zealand, I felt sickened by the weekend’s massacre of 11 Jews in a Pittsburgh synagogue. Any mass shooting of people going about ordinary life is gut-wrenching. But a deadly attack on my people, while they are praying and sanctifying life, feels painfully personal and, while physically distant, close to home. The killer Robert Bowers’ chilling social media posts reveal a white supremacist ideology, claiming, among other things, that “Jews are the enemy of white people” and, in relation to a Jewish refugee aid organisation, “It’s the filthy evil Jews bringing the filthy evil Muslims into the country”.He told Police that Jews were “committing genocide to his people”. He targeted the victims for no reason other than that they were Jewish. While our community has received many heart-warming messages of condolence, not everyone is appalled by the attack. While the bodies were still warm, people indulged in their own interpretations, speculations and justifications. Comments on the Facebook pages of New Zealand news sites included, “what goes around comes around. No sympathy here”, “they cry wolf when others hurt them but turn a blind eye when their own is hurting others”, and “It shows who runs the media…the Jews/Zionist”. The subtext is that those Jews had it coming to them, because, well, we all know what Jews are like and that they support Israel. The horror of this brutal antisemitic attack is compounded by the antisemitic, victim-blaming reaction to it. There were also those who blamed President Trump’s rhetoric and dog-whistling. I wish it was that simple, because it would mean that when Trump goes, so does anti-Semitism. Sadly, however, anti-Semitism is the symptom of an ailing, corrosive society. It is a much bigger and more long-standing problem than any one political leader, or the actions and policies of any government or state. The persecution of Jews – whether it be forced expulsions, the Spanish Inquisition, ghettos, pogroms, or the Holocaust – has been around for as long as Jews have. Anti-Semitism mutates over time and takes different forms. Today, Jews find themselves caught in a confluence of hate from Islamists, the far-right like Bowers, and the far-left. The latter, under the guise of concern about Palestinians’ human rights, demonise Israel and accuse Zionists, instead of Jews, of blood libels and conspiracy theories. Globally, Jews make up less than a per cent of the population,but in the last five years have been the target of 40-60 per cent of recorded religiously motivated hate crimes in Western countries. Much of the focus has been on Europe: where far-right political parties are gaining popularity and power,Jews have been murderedand assaulted in Islamist attacks, andJeremy Corbyn’s UK Labour Party has become embroiled in multiple anti-Semitism scandals. But now, Jews in the United States cannot deny a harsh new reality has washed up on their shores. And New Zealand is not immune to this global trend in anti-Semitism. The reprehensible reactions to the Pittsburgh attack on social media are nothing new. In January this year, thethen Race Relations Commissioner Dame Susan Devoy condemned comments on New Zealand Facebook news sites following Lorde’s cancellation of her concert in Tel Aviv, saying that they would have fitted in the Third Reich. Some anti-Semites prefer more old school methods of delivery. This year,a leaflet dropped in Remuera mailboxesclaimed, apparently without irony, that antisemitism is a propaganda smear term used to intimidate anyone trying to tell the truth about Jews, anda Dunedin pamphletpromoted a Holocaust denial book. Certain MPs employ reckless and revisionist rhetoric against Israel while whitewashing theocratic tyrannical regimes. Protests against Israel have included swastikas and flags of Hizbollah, a terrorist organisation dedicated to the genocide of Jews, and supporters of Israel at public events are routinely threatened and sometimes assaulted. In 2016, a video emerged of a Sheikh in a Manukau mosque saying that Jews are “the enemy of the Muslims” and “their protocol is to rule the entire world”, and the next year, another video emerged, of an Iranian Sheikh in a Pakuranga mosque denying the Holocaust. Jewish graves have been desecrated over the years. New Zealand’s only Jewish school has security guards permanently stationed outside. I was fortunate to have a wonderful childhood in New Zealand. I have always been grateful that I was able and encouraged to identify as a Jew, without fear. I believe that as a country we are still capable of this, and that all Kiwis can feel equally valued, whatever their race, ethnicity or religion. I know, though, that in today’s world, we cannot take this for granted. We must all be on guard and work hard to protect the values we hold dear. I hope you will help.